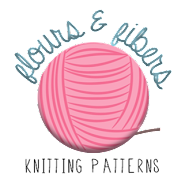 Flours & Fibers: 2014 Spring Retreat: Knit & Knot! 2014 Spring Retreat: Knit & Knot! I've got exciting news to share today. We are planning another knitting and crocheting retreat for this spring! We had a great time at the Fall Retreat last November and we can't wait for another relaxing weekend! We've decided to change venues for the spring (but we are excited to head back to Camp Wyoming this fall!). 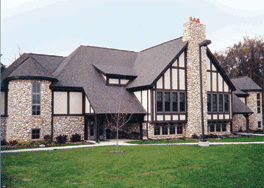 The next retreat will take place at beautiful Heritage Lodge at the Stronghold Retreat Center, located in Oregon, IL. Registration is open now, at Knit & Knot! So stop by the store and reserve your spot today! Spots are filling up quickly! Cost: $200 for a double occupancy room with attached bath. $270 for single room with private bath. Food: Meals are provided (Saturday Breakfast through Sunday Lunch). You make bring any snacks you’d like. There is a kitchenette at our disposal. Lodging: The lodge has 15 rooms with two twin beds and an attached bathroom. Accomodations: All linens and towels are provided. Transportation: The store will not be providing organized transportation. However, if you’d like to carpool with other attendees, we will gather phone numbers and emails to share. Please call, email or stop by the store, if you’d like to share this information.